Cristiano Ronaldo has reportedly been in contact with his old Real Madrid team-mate James Rodriguez about a transfer to join him at Juventus. This could be bad news for Arsenal, who were linked strongly with the Colombia international for much of January. A Don Balon report just a week ago suggested the €65million-rated Rodriguez was tempted by a possible move to the Emirates Stadium in order to boost his playing time. Rodriguez is currently on loan at Bayern Munich and not looking at his best, but Marca now claim Ronaldo is eager to play alongside him again at Juventus. The Spanish outlet claim the Portugal international has contacted the 27-year-old about a potential move to Turin, so it will be interesting to see if something can happen there. It could perhaps be a risky move for Juve to make at the moment, given Rodriguez’s dip in form in the last few years, even if he can be one of the best attacking players in Europe on his day. 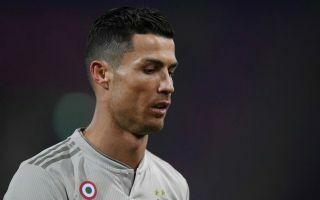 It would seem Ronaldo still rates him highly, and one can easily imagine the 34-year-old having a reasonable amount of sway over his club’s transfer activity.